NATco is a global manufacturer of labels, trims and hardware who have been supplying the apparel industry for over 50 years. Corporate Headquarters located in Los Angeles, California, NATco owns and operates plants in several countries throughout the world. With over 600 looms, printing presses, and other related machinery strategically located to increase efficiency and lower production costs, and equipped with the latest technological upgrades; NATco is one of the most efficient product identification and packaging companies in the world. Our production network allows NATco Headquarters to organize production and distribution at each of our locations, based solely on each program’s requirements. One of NATco’s beliefs as a company is to provide the most personalized service possible. A highly trained group of specialists is standing by at each of our locations in order to assist you. Almost limitless production capabilities, coupled with the most personalized and efficient service a company can provide, are an unbeatable combination. An order may be placed in one side of the world at any given time, and can be delivered on the other side in as little as 48 hours. Our wide range of products allows us to be one of the few companies in the world who can supply large apparel manufacturers with most of it’s needs; from the woven labels that identify the brand, to the packaging, to the barcode and price sticker that the final consumer will see at the retail store. NATco offers a complete solution for all your branding and packaging needs. With output points throughout the world, we can supply your company no matter where you are. NATco is always just one phone call away. NATco (North American Textile Company, LLC) is a US-based company, with corporate headquarters located in Los Angeles California. Established in 1991, NATco’s experience comes from its roots in Argentina, Pentars, a company with over 50 years of experience. 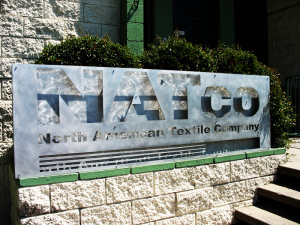 Although NATco is based in the U.S., each local office is a building block within this global network. Current production sites are strategically located throughout North, Central, and South America; Asia, Africa, Europe and the Middle East. Some of these sites are fully owned subsidiaries of NATco, while others are partnerships with local affiliates that facilitate doing business within that country. To play an active prominent role in the brand apparel packaging industry from a local and global perspective, by providing our clients with outstanding customer service, great products and innovative cost saving solutions. To be the most innovative service oriented company in our industry. Constantly striving for better performance and pushing boundaries to the next level. NATco operates an extensive network of personnel dedicated exclusively to customer service. While all project management is centralized in the United States, local offices in each country where NATco operates are tasked with handling all communications with contractors. For customers in different time zones, it is inefficient to have to deal with US companies; not just because of time differences, but also due to different business and cultural practices. NATco works hard to break down these barriers in order to provide contractors with the same type of service we provide here in the United States. Order follow-up, price and inventory information and help with shipping documentation can all be obtained from our local offices. There is no need to wait 24 hours for the US offices to provide the answers needed. NATco is dedicated to protecting workers’ rights around the world. NATco is affiliated with the Fair Labor Association – an organization that encourages companies to voluntarily meet internationally recognized labor standards. As an affiliate, NATco agrees to subject their supply chain to independent audits. Nondiscrimination – No one will be discriminated against in hiring, advancement, discipline, or termination based on gender, ethnicity, or religion. Child Labor – No one under the legal age of employment is allowed to work. Health, Safety and Environment – The work environment will always be safe and healthy to prevent accidents and injury from occurring. Company values – Our core values are ultimately defining who we are. Commitment – Our allegiance towards our clients is one of the core components of our business attitude. Integrity – This is an essential component on which our company is based on. Honesty – We mean what we say and we say what we believe in. Pluralism – Diversity, tolerance and openness it is what makes us stronger. NATco is committed to reducing its operational footprint. This includes reducing energy consumption, running a recycling program, and using eco-friendly options wherever possible. NATco has switched to using energy-saving light bulbs and using Energy Star equipment. NATco has an active recycling program for office waste and follows the Securities and Exchange Commission-approved model of delivering proxy materials online. Through this model, documents are posted online and users are notified of its availability. 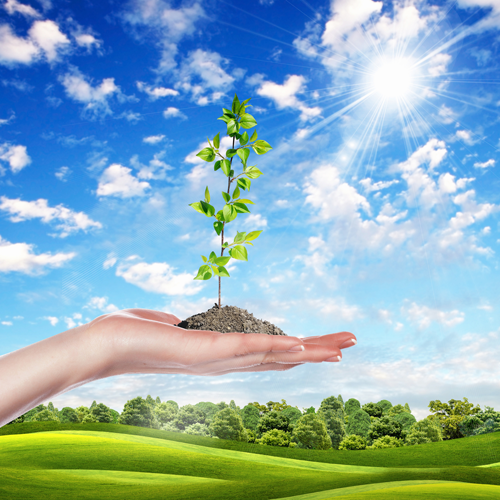 NATco purchases eco-friendly office supplies such as paper drinking cups and recycled printer paper. Information technology plays a vital role in supporting our footprint reduction initiatives, including video conferencing, e-mail, and digital documents. NATco will continue exploring opportunities to increase the contribution of technology operations to its environmental commitments.